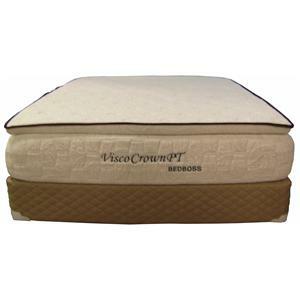 Offering superb comfort at a great value, this memory foam mattress responds to the shape and weight of your body to promote proper sleep posture and relieve aches and pains. The top layer of memory foam is infused with gel to efficiently dissipate heat and keep you at a restful sleep temperature. If you seek all the comfort and health benefits provided by gel memory foam but don't want to break your budget, this mattress is just what you need. 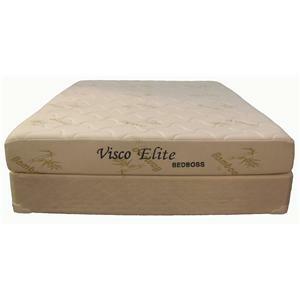 The MLILY Ambiance Gel King Gel Memory Foam Mattress and Foundation by Bed Boss from Nashco Furniture - Nashville. We proudly serve the Nashville, Franklin, Brentwood, Clarksville, Green Hills, Davidson County, Williamson County, Tennessee area. Product availability may vary. Contact us for the most current availability on this product. 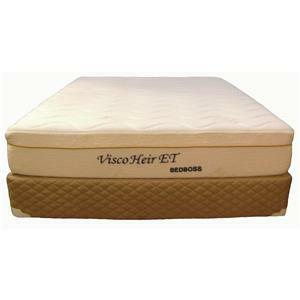 MLILY memory foam mattresses from The Bed Boss bring you the outstanding comfort of gel memory foam at a great value. Experience all the conforming, pressure-relieving comfort of memory foam, now with a cooling gel infusion. Combining gel with traditional memory foam facilitates efficient heat dissipation, keeping you at a comfortable temperature so you can sleep deeper and wake up revitalized. 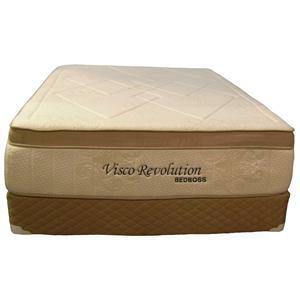 Materials used in these mattresses are safe and non-toxic to protect your home and the environment. The MLILY Ambiance Gel collection is a great option if you are looking for Mattresses in the Nashville, Franklin, Brentwood, Clarksville, Green Hills, Davidson County, Williamson County, Tennessee area. Browse other items in the MLILY Ambiance Gel collection from Nashco Furniture - Nashville in the Nashville, Franklin, Brentwood, Clarksville, Green Hills, Davidson County, Williamson County, Tennessee area.